is a balanced all in all nourishment. This gentle mist of nourishment has all sort of nutrients assorted in it. Usage of Green Diet refreshes the plant and gives it a puff of sustenance. 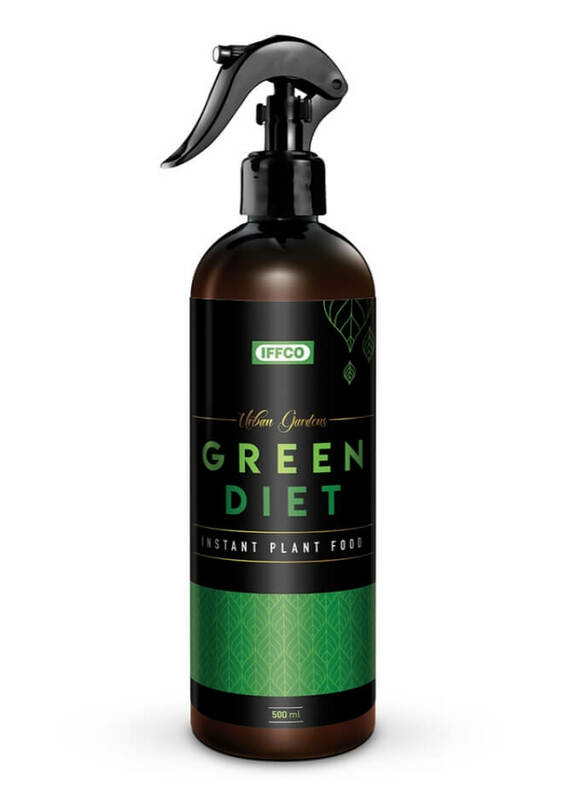 Provides the basic nutrient supplementation to the plants. Boosts vegetative and reproductive growth. Boosts flowering and foliar development. This is a fluid product hence it is quite important to shake it before you spray it. While spraying, always keep in mind that you need to spray it in an unvarying way, in order to get better outcome. The spraying should be repeated at an interval of 7-10 days. Lock the trigger pump after use.